Erase the hard lines of cookie-cutter art and encourage children to explore worlds where oceans can be pink, sand can be blue and the skies are filled with watercolor arrangements from their imaginations! 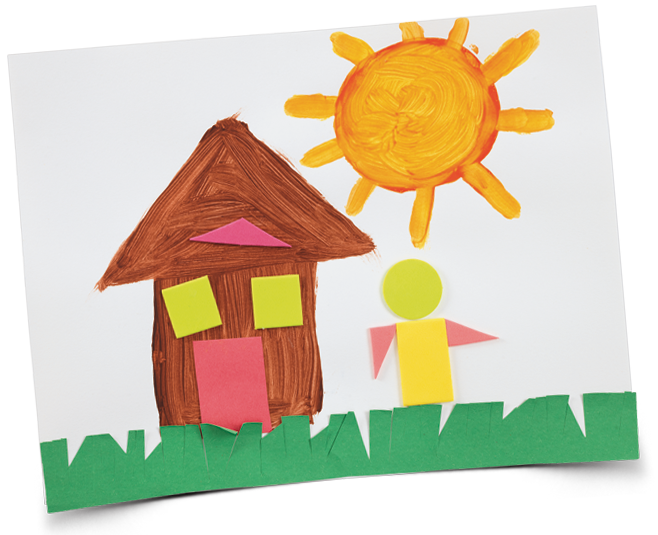 When we provide children the means and freedom to create without boundaries, we empower them to communicate their thoughts and feelings in tangible, sharable ways while building the foundational skills they'll rely on for a lifetime. 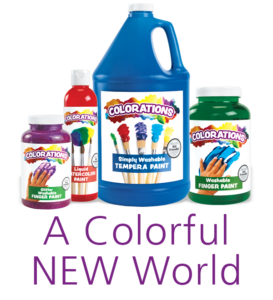 Colorations is happy to be your partner in bringing the art of learning to the classroom, home and wherever inspiration strikes. Anna is a nationally recognized arts advocate and author. 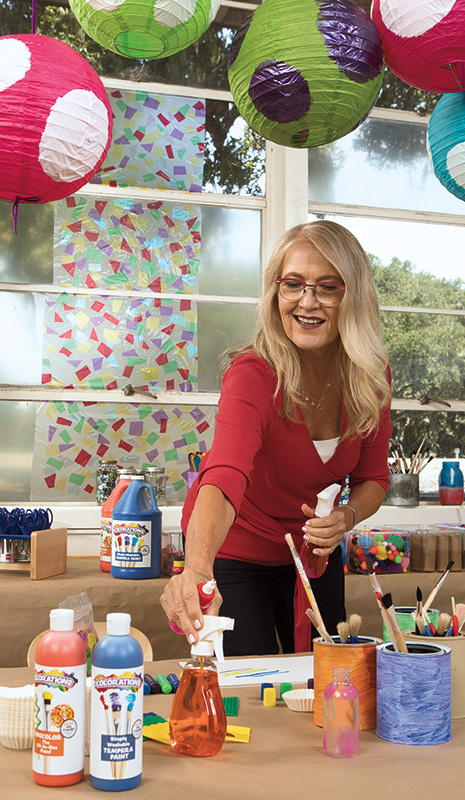 She believes art helps children develop their brain capacity, engages them in open-minded play, helps them to develop their cognitive and multi-sensory skills. In other words, as Anna likes to say, "Art is good brain food." Open-ended art is art without preconceptions. 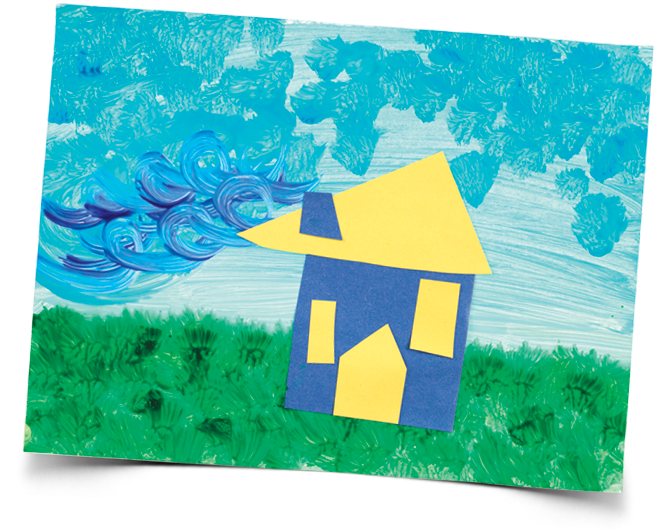 Open-ended art means providing children with a collection of materials and allowing them the freedom to explore their own imaginations and artistic processes. The goal of open-ended art is not to reach a particular outcome, but to explore the processes of creation and to express personality and creativity. 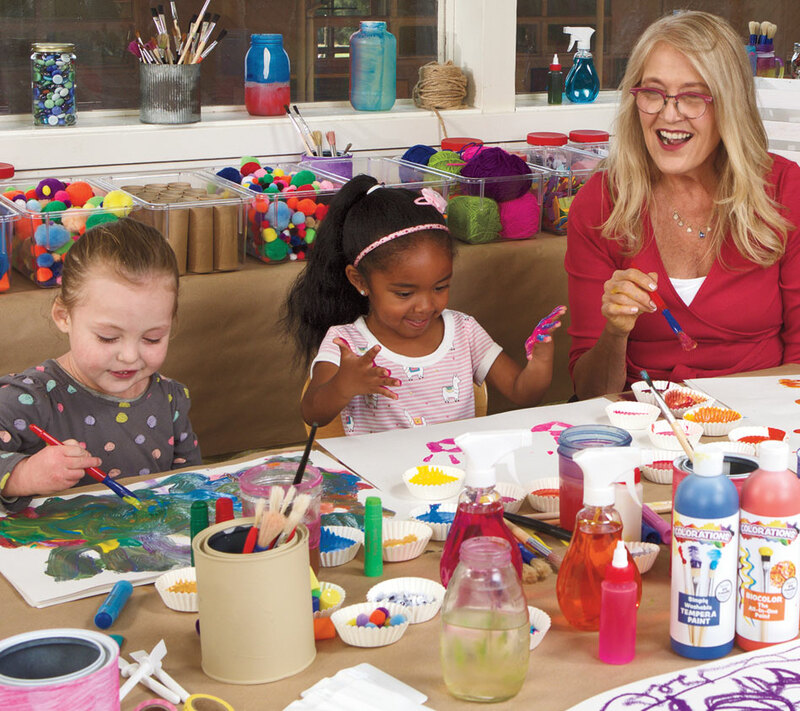 Through open-ended art, children learn about their own creative preferences and abilities much more than with cookie-cutter crafts that always look the same. The resulting artworks may sometimes appear a bit quirky. They may even be unrecognizable to adult eyes. 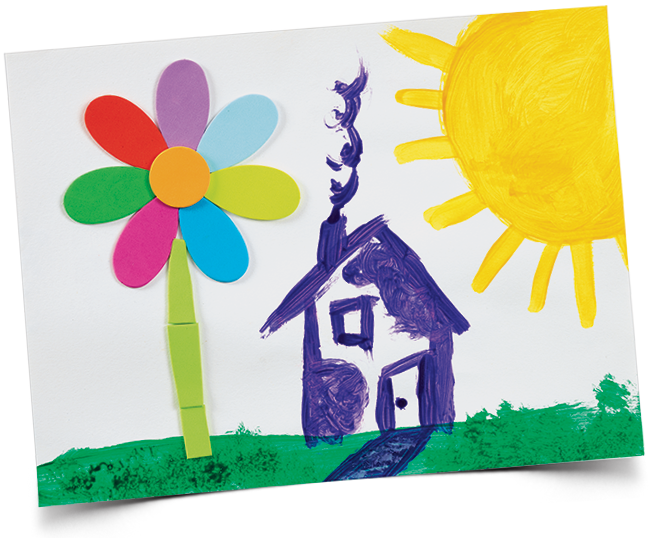 But, merely ask a child about the meanings of their odd arrangements, color splashes and uncommon collage pieces and you're sure to get enlightening responses! 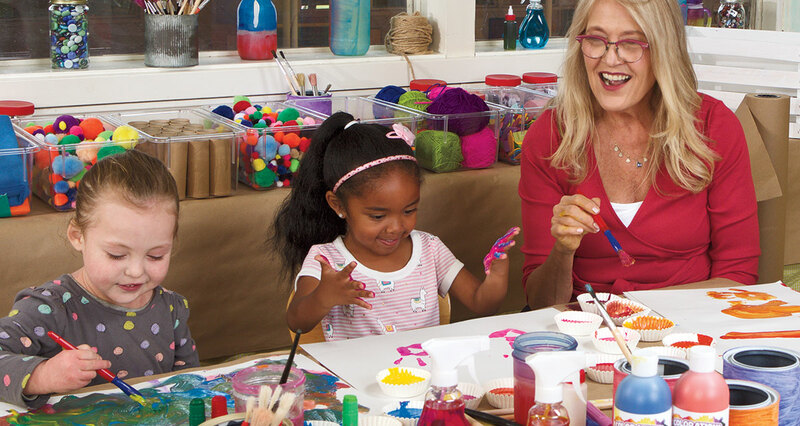 Art ignites and teaches skills that your kids will use for a lifetime. Embrace the process of creative art! It's the wiggly, gooey, sparkly journey—not the destination. Provide a breadth of materials to cultivate endless possibilities, and see where their imaginations take them. No two houses or sunshines will be the same!